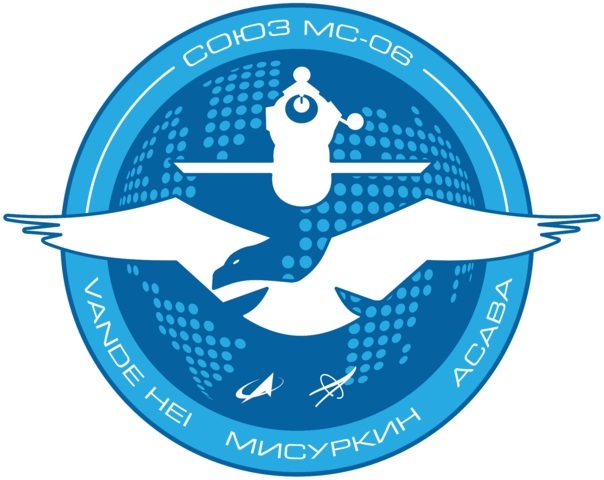 The fully fueled Soyuz MS-06 spacecraft (No. 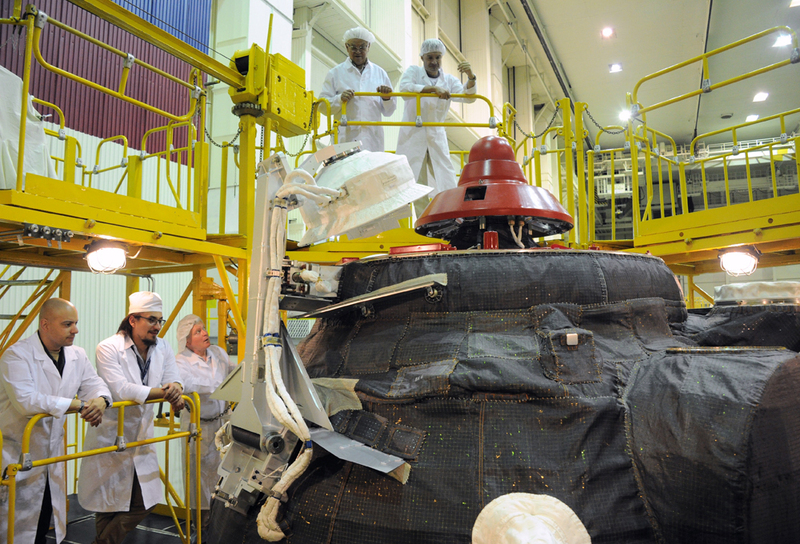 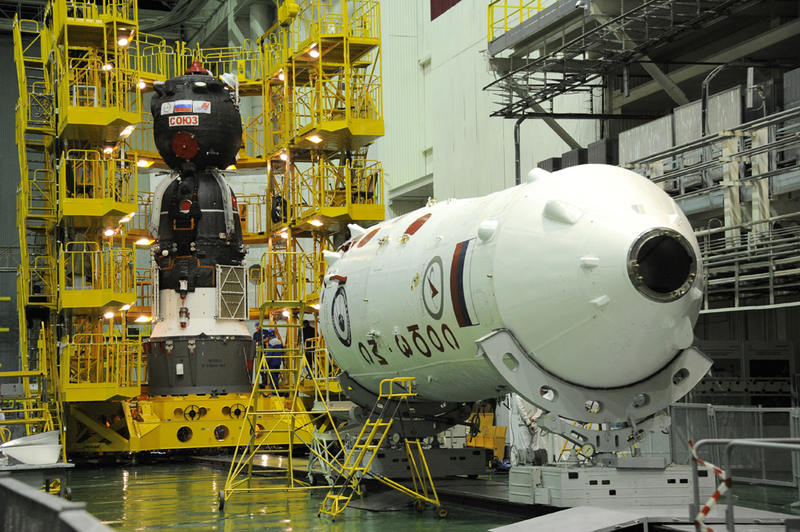 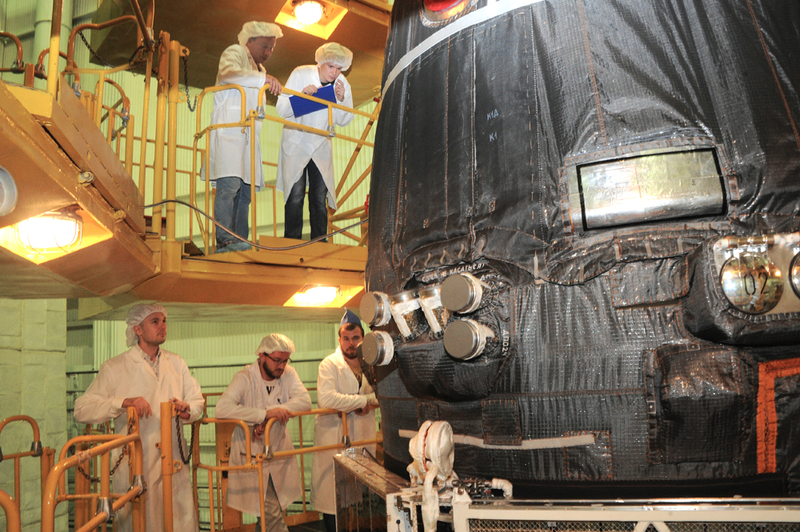 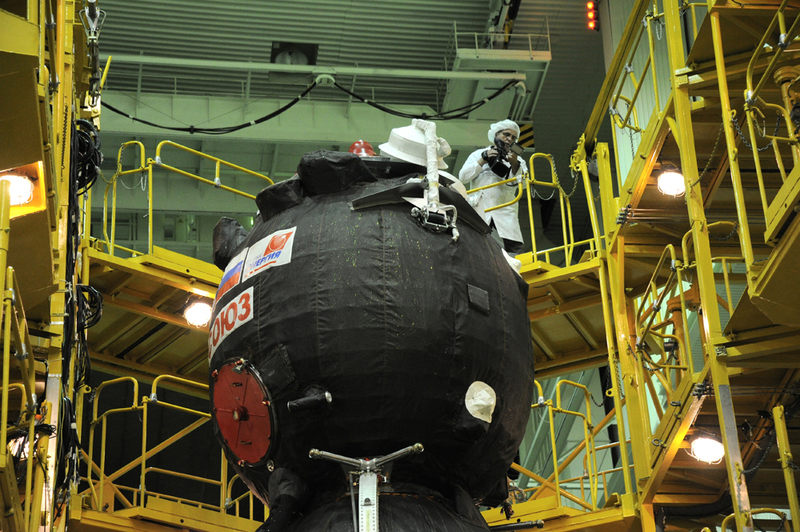 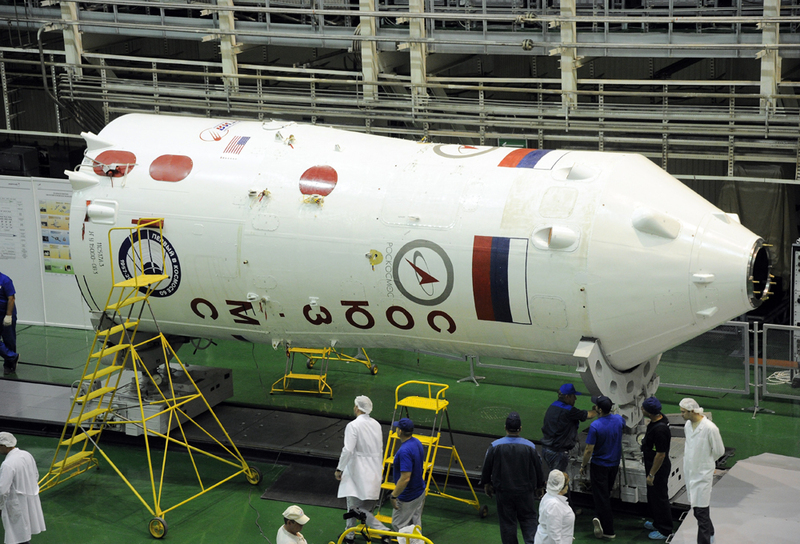 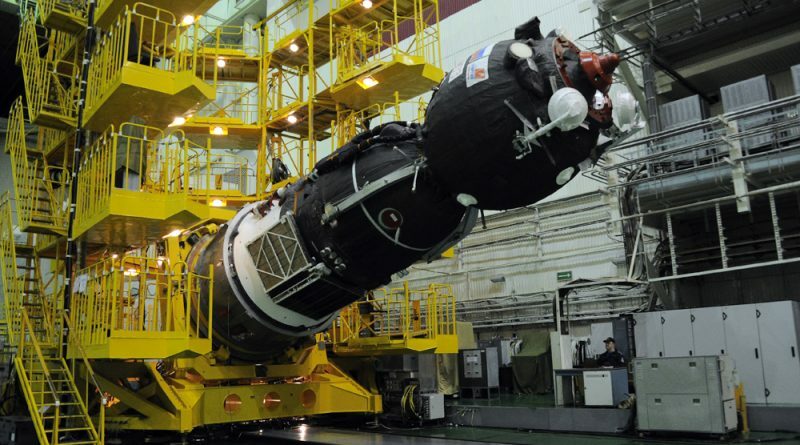 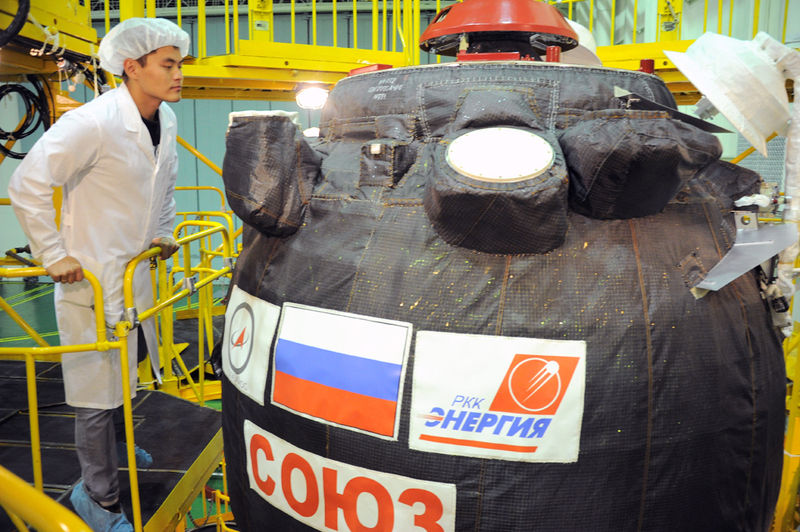 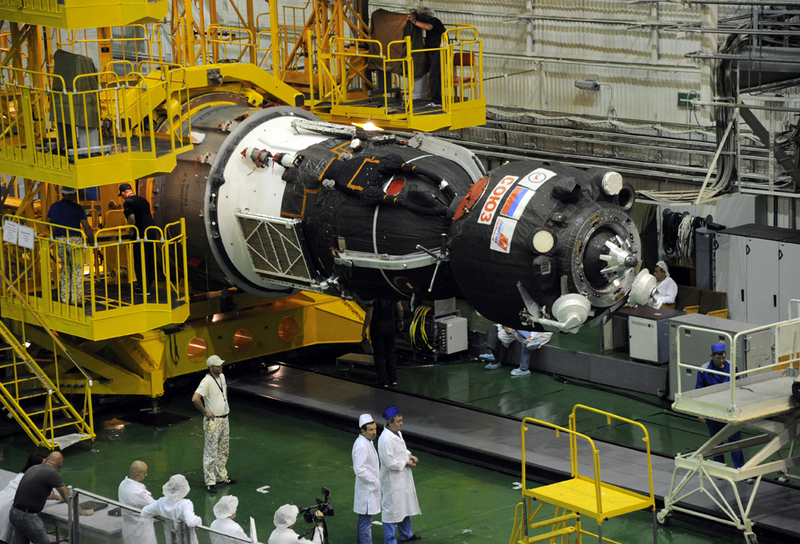 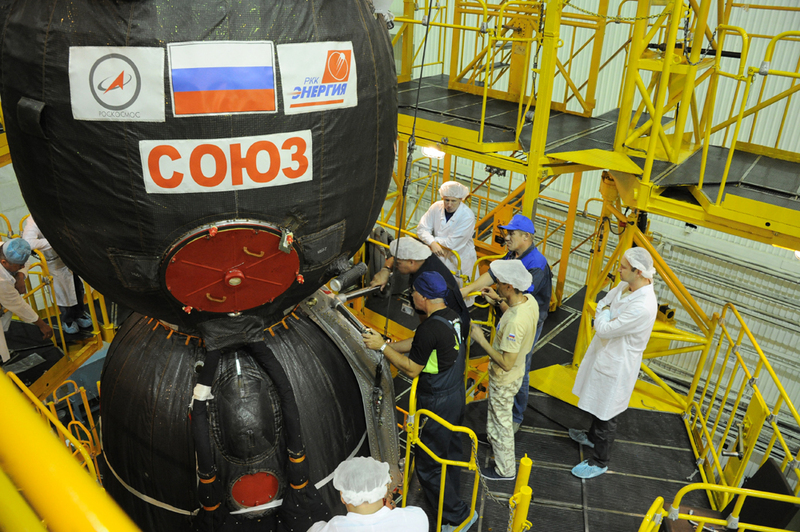 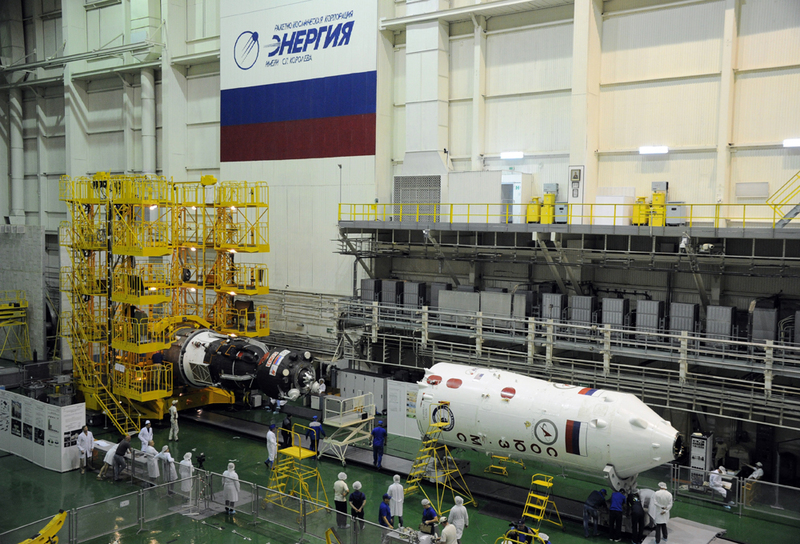 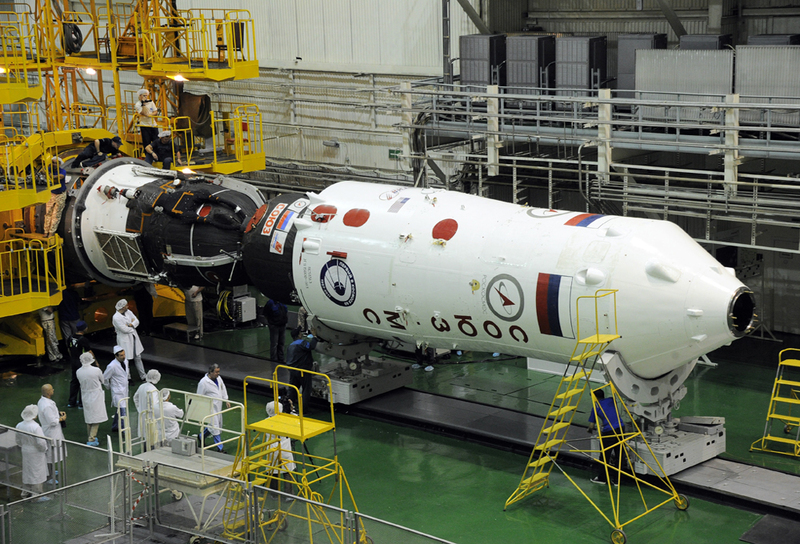 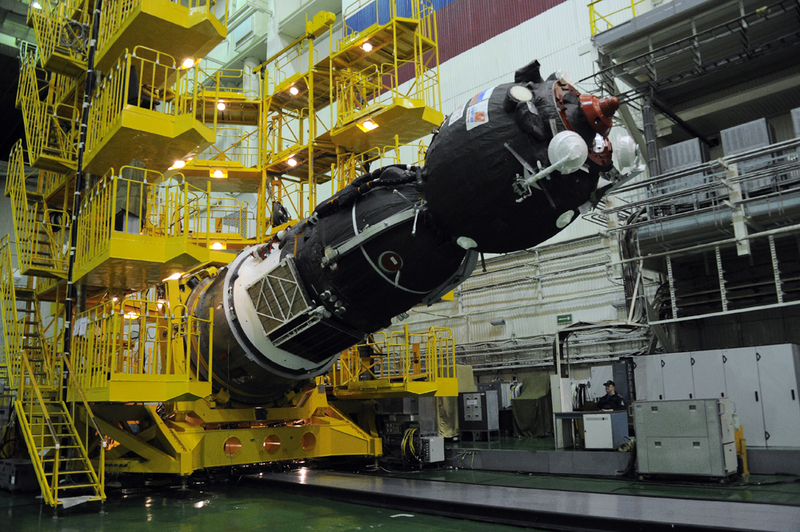 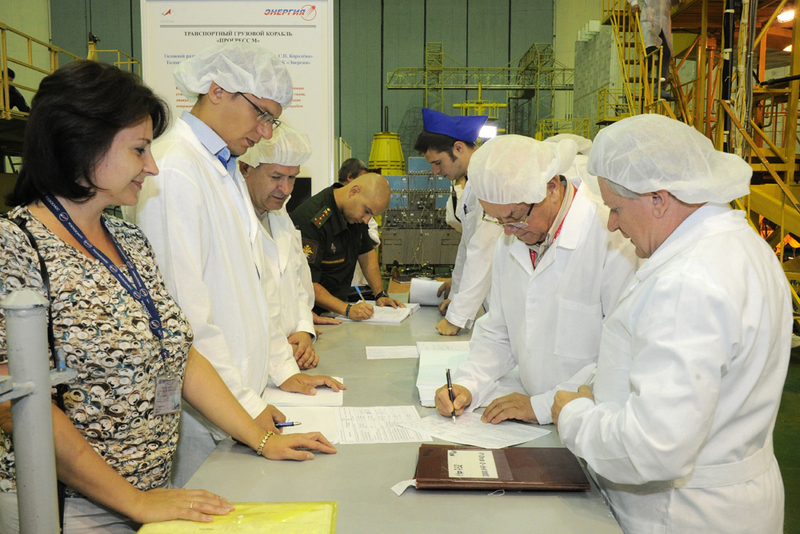 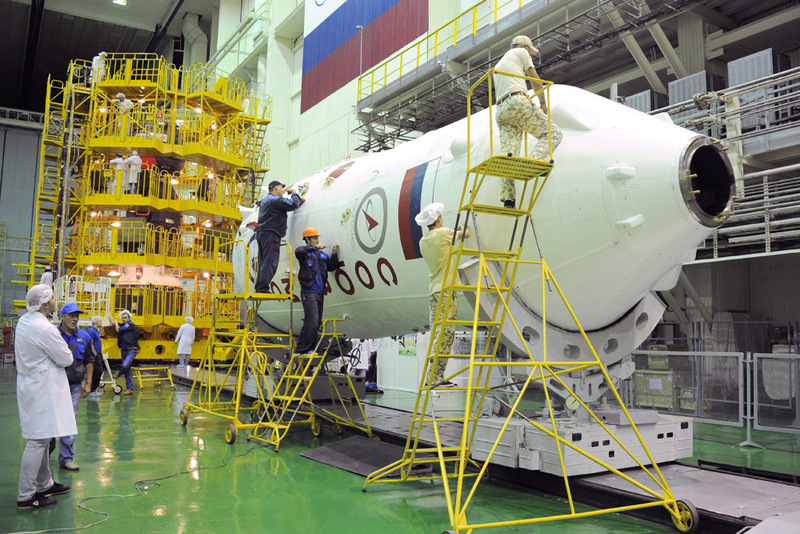 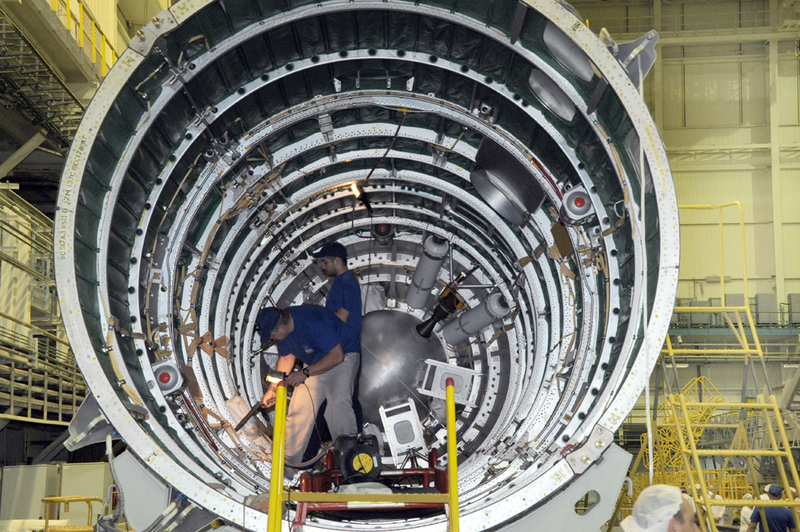 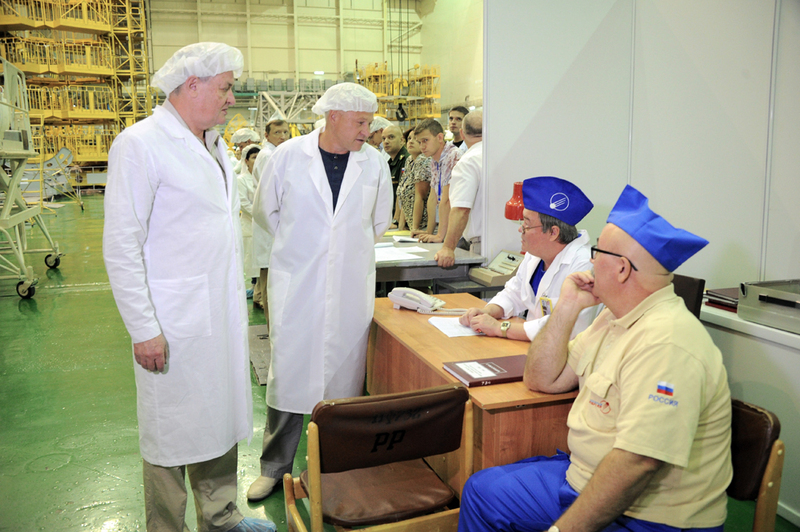 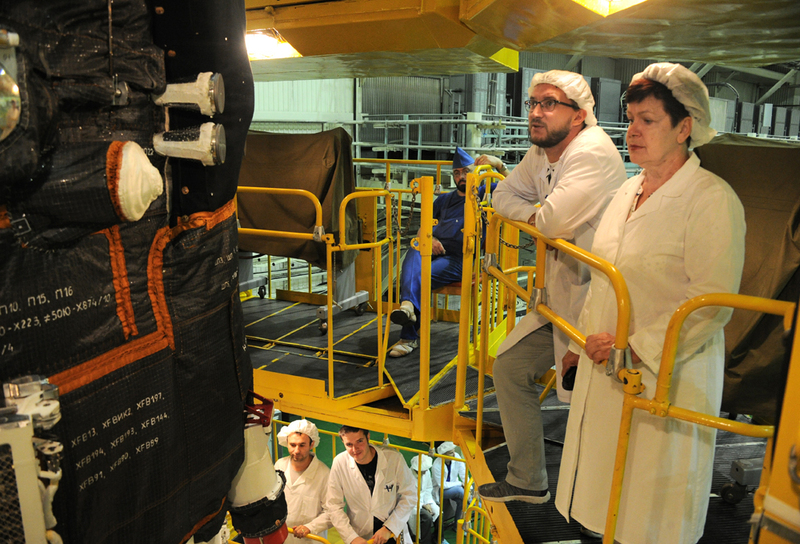 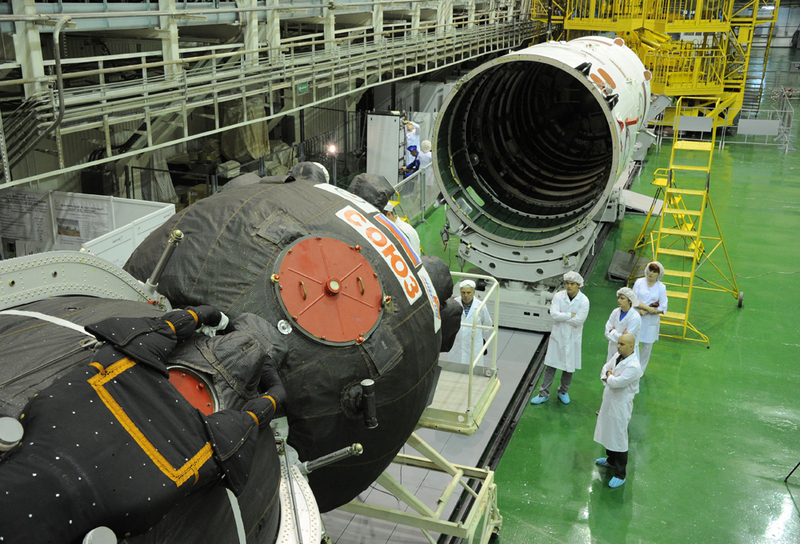 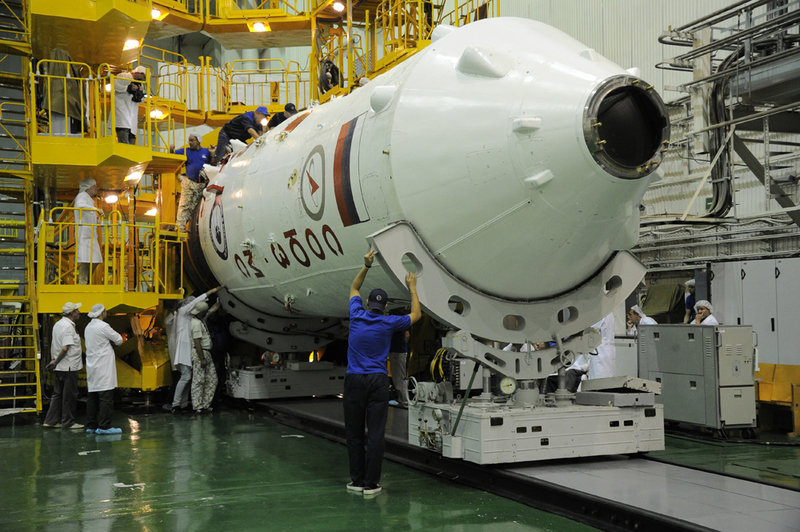 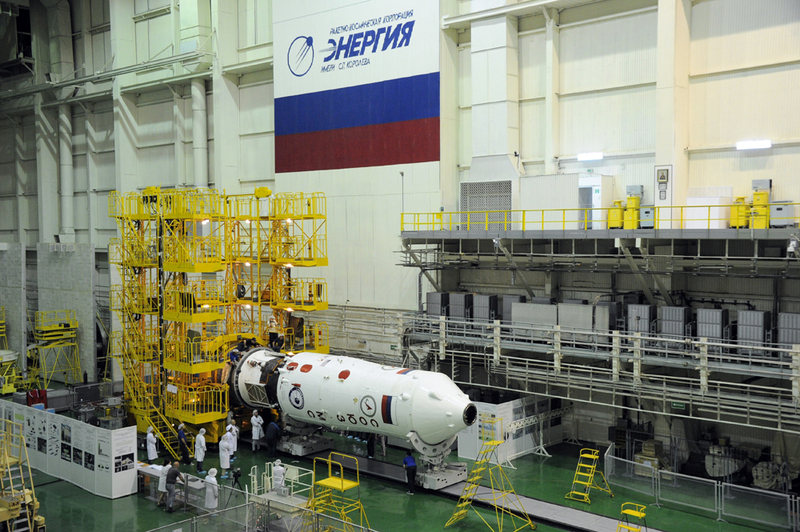 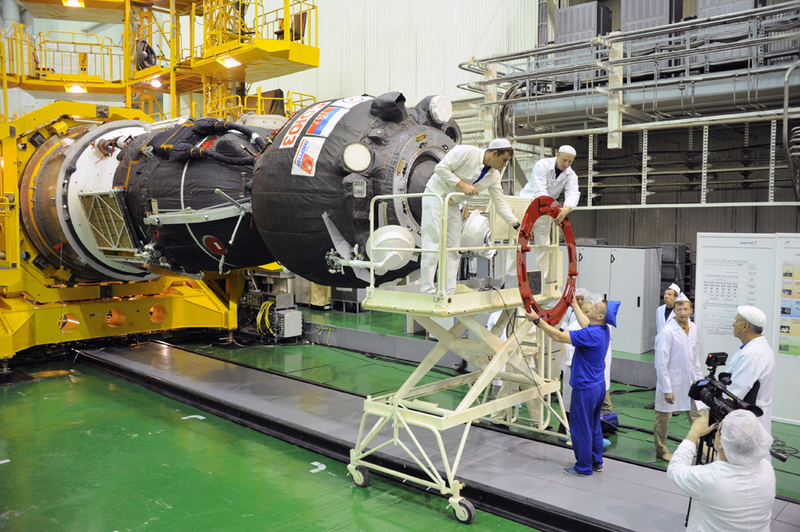 734) undergoes final processing at Site 254 of the Baikonur Cosmodrome – being attached to its payload adapter before undergoing final inspections for encapsulation in the protective launch shroud in preparation for integration with the launch vehicle. 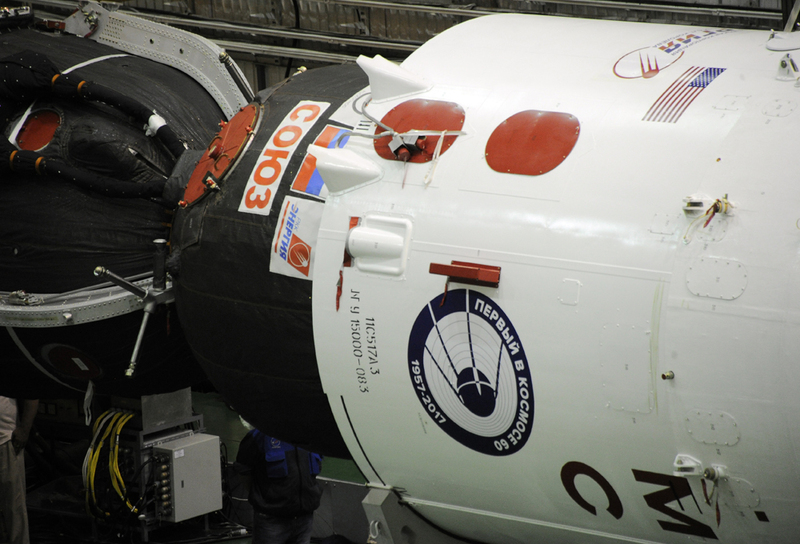 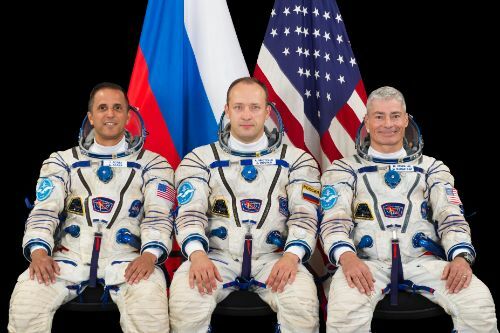 Once in the shroud, Soyuz was returned to an upright position to await the second visit of its three crew members who fly in from Moscow on September 6.